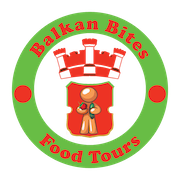 Balkan Bites is an attempt at providing travellers to Sofia with the first free daily food tour in Europe and maybe the world. Soup bars are a healthy and delicious alternative to fast food. The Locations: We visit the trend setters of Sofia and show you what makes them stand out. Visit a family owned restaurant with a traditional style of cooking and atmosphere. Then why not join us for a Pub Crawl at night?